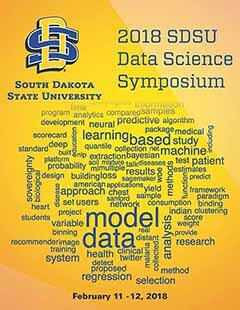 Open PRAIRIE: Open Public Research Access Institutional Repository and Information Exchange - SDSU Data Science Symposium: Keynote: Navigating Data Integration in Healthcare: What, Why, How, and Who? Keynote: Navigating Data Integration in Healthcare: What, Why, How, and Who? As healthcare transitions from a fee-for-service model towards a value-based paradigm, healthcare organizations from payers to provider are exploring new data sets to augment existing traditional health (or more specifically, illness) data sets. In this discussion, we will explore exactly what types of data can serve to improve understanding of our communities, why these data sets are essential in this transition of our approach to healthcare payment and delivery, how these data sets can be integrated as well as the barriers to integration, and who ultimately “owns” this data as various (and at times, conflicting) constituents strive to serve the population. Is there genuine data democracy?